Universal City, California, July 26, 2018 – Celebrate the power of kindness and joy in the uplifting documentary, Won’t You Be My Neighbor?, arriving on Digital and the all-new digital movie app MOVIES ANYWHERE on August 21, 2018 and on Blu-ray™, DVD and On Demand on September 4, 2018 from Universal Pictures Home Entertainment. Hailed by critics as “moving and illuminating” (A.O. Scott, The New York Times) and “a funny, touching, and vital documentary” (Peter Travers, Rolling Stone), this heartwarming film reminds viewers of all ages about the universal kindness and empathy Mister Rogers radiated on American television screens. The documentary paints a portrait of a man whom we think we know, as it takes us beyond the zip-up cardigans and the Neighborhood of Make-Believe, and into the heart of the remarkable man who continues to enrich American homes with lessons about love and humanity.For over thirty years, Fred Rogers, an unassuming minister, puppeteer, writer and producer was beamed daily into homes across America in his beloved television program, Mister Rogers’ Neighborhood. 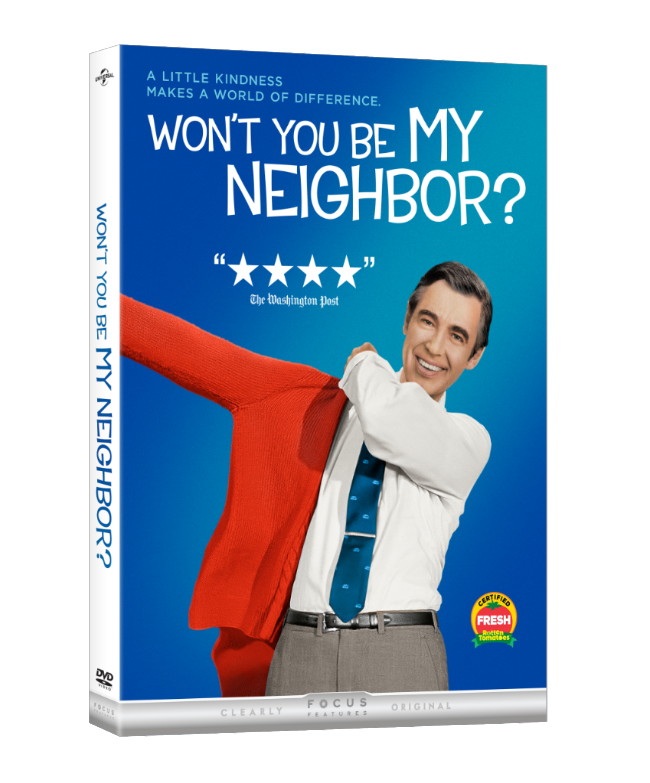 From Academy Award®-winning filmmaker Morgan Neville (20 Feet from Stardom), Won’t You Be My Neighbor? takes an intimate look at Fred Rogers, a creative genius who inspired generations of children with compassion and limitless imagination. There hadn’t been anything like Mister Rogers on television before and there hasn’t been since. Won’t You Be My Neighbor? will be available on Blu-ray™, DVD and Digital.